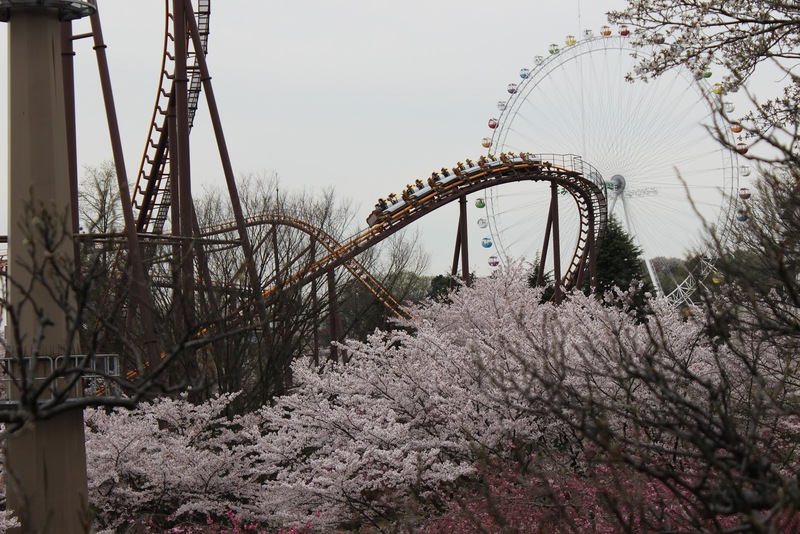 Although yesterday was rainy, today's forecast was just overcast so I decided to take a visit to Yomiuri Land! 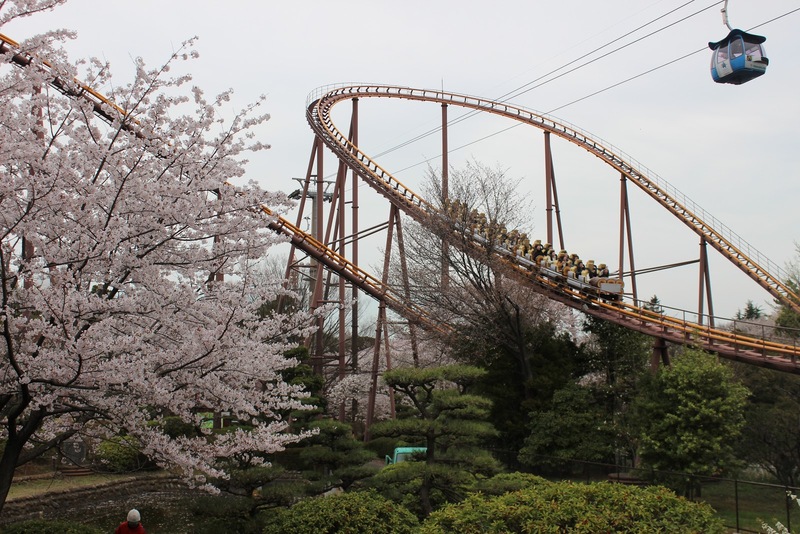 Yomiuri Land is a large theme park on the outskirts of Tokyo and is home to the famous Bandit roller coaster. 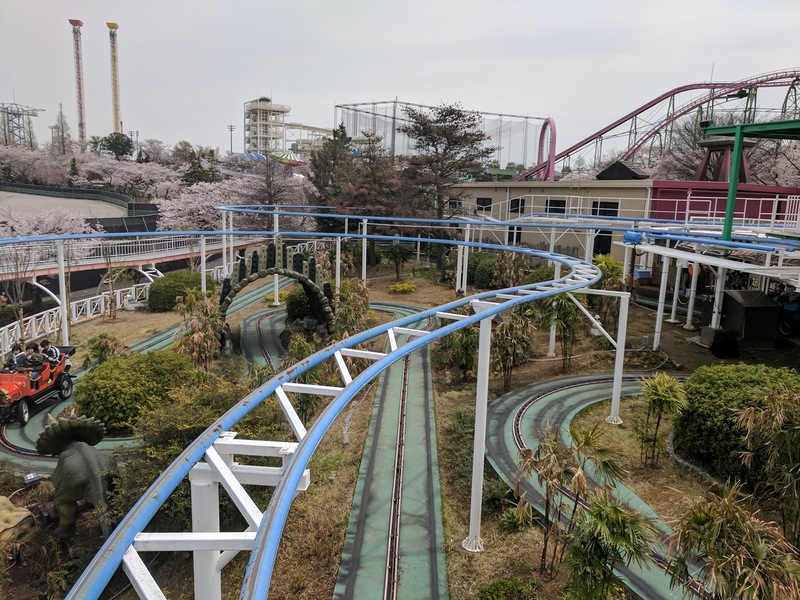 This coaster reaches a max speed of 110kph and spends over two minutes racing around the park, following the topography of the land. 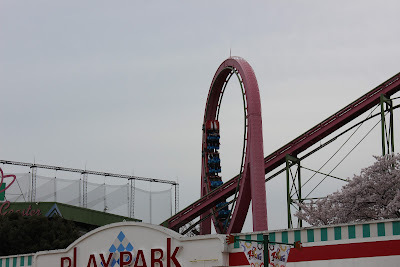 When it opened it was the fastest roller coaster in the world and also held a record for the largest height difference between the highest and lowest points of the track: 78m. 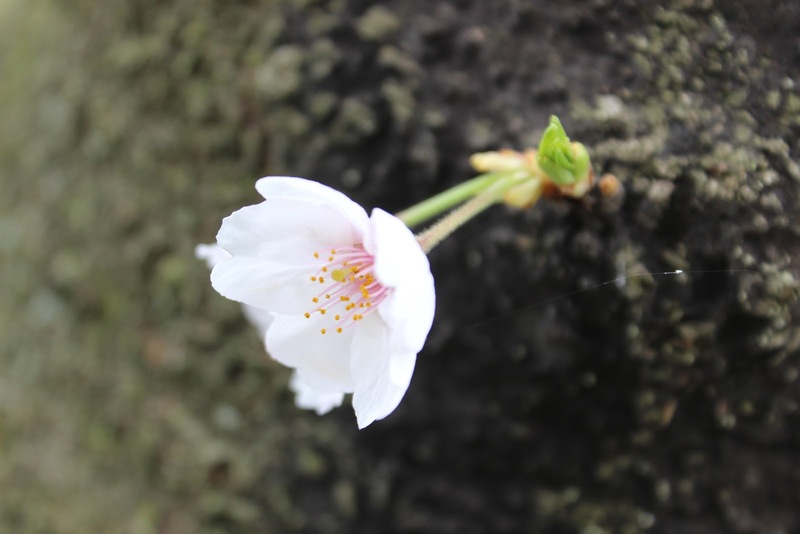 This was achieved due to the use of the hills- the highest point above the ground is 51m. 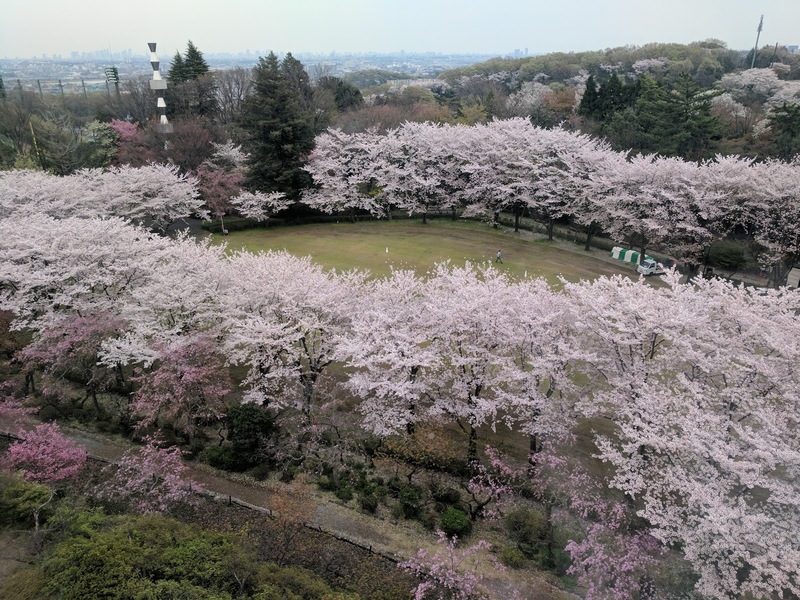 Yomiuri Land is also a lesser known, but still notable, cherry blossom spot of Tokyo. 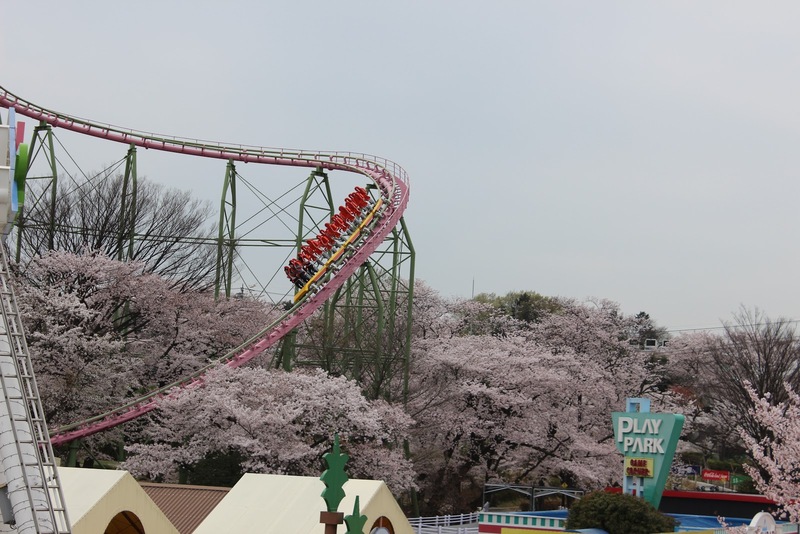 In fact, every year there are night illuminations and you can spend an evening racing through the cherry blossom trees at 110kph. 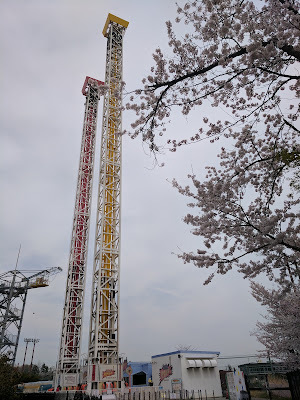 As with Chidorigafuchi, I had unfortunately arrived too late to take part in the evening illuminations, however the park was open during the day and I'd still be able to view cherry blossoms while riding a roller coaster! After waking up my AirBnB host made breakfast- pancakes, eggs and sausages and I set off on the train. 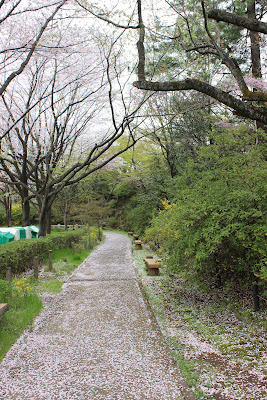 Where I was staying wasn't ideally located for the park, so I had around an hour's train ride first. 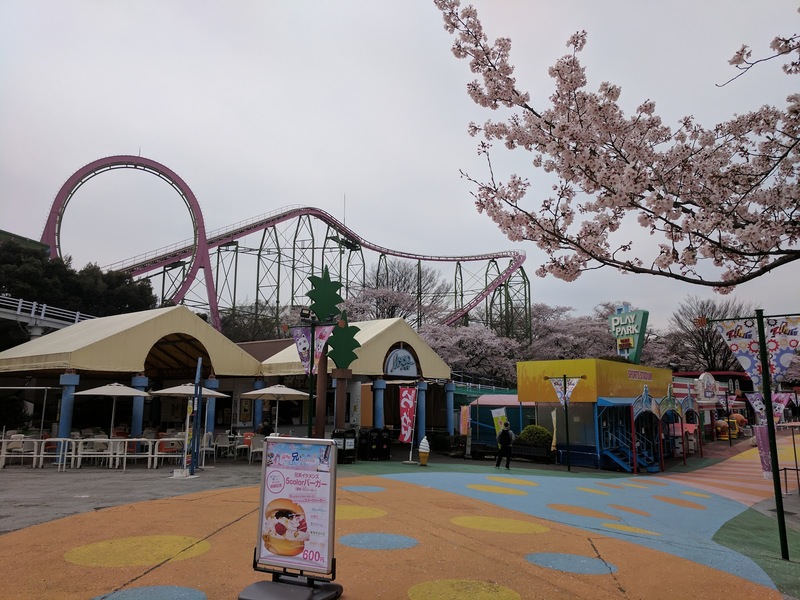 This wasn't much of an issue as the park only opened at 10am, although as it turned out I didn't arrive until 10:30am anyway. Yomiuri Land is located on the top of a hill and there are two train stations you can approach from. 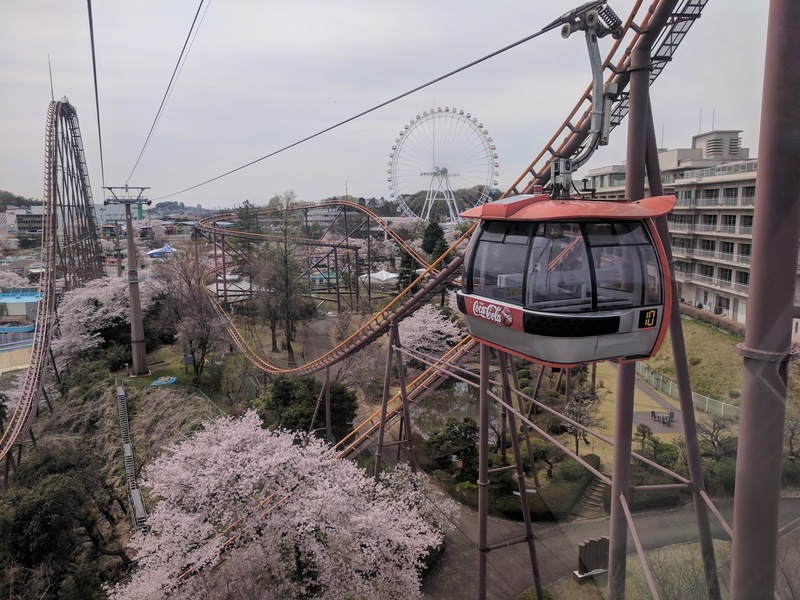 I used the Keio Yomiuriland stop and after arriving walked a short distance up a hill then paid 500 yen for a return ticket on the Gondola. As I rode the gondola up the hill the park slowly came into view! 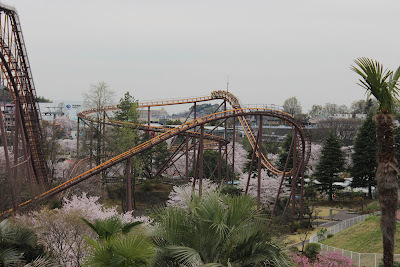 The most eye catching ride was the Bandit roller coaster and I had a great view of it from above! Although I had made sure to go on a Monday I was a bit worried it might be crowded as the cherry blossoms were still full bloom and it has rained yesterday. To my surprise I found that the park was utterly empty! After arriving at the top I walked around to the entrance. 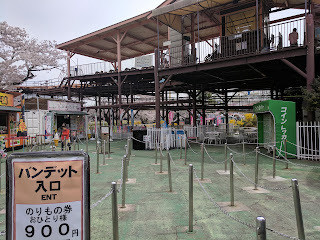 Now, normally entry and unlimited rides costs 5,400 yen, but by showing my foreign passport I only had to pay 4,900 yen. One thing that was interesting was that my unlimited pass was just a stripe of paint on my hand that glowed under UV light. Before each ride they looked at my hand under a black light to check for the glow. Doesn't seem very secure to be honest. Anyway! First up! The Bandit! Since there was no one else around I got to sit at the front, which although is the slowest part of the train, is exciting in its own way. The ride time was very long and it was really great to whip through the sakura blossoms. The ride had a few surprises thanks to the topography too! I mentioned before that the park was empty, but man was it empty. There were probably more staff than customers- I don't think there were more than 100 guests total. On the one hand it was great since I didn't have to wait in line for anything but it was a bit disconcerting to have the music playing and all the staff looking at you, but no one else around. 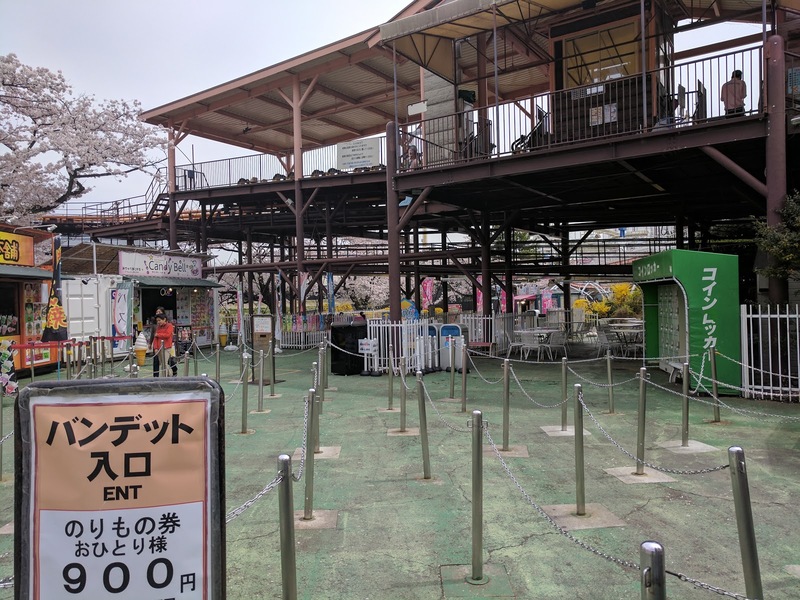 It also actually caused a bit of waiting because they wouldn't run the ride until more people showed up- I think I sat in the car of at the Bandit roller coaster station for 10minutes on one occasion. However, I also took full advantage of this and made sure to ride as much as I liked. 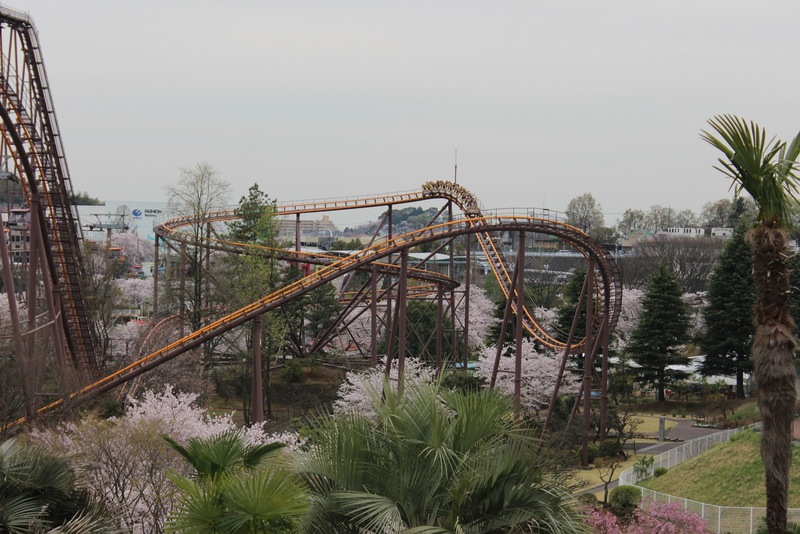 I think I rode the bandit 7 times and had a go on every other interesting ride as well. There is one other major roller coaster at Yomiuri Land, the Momonga Standing and Loop Coaster. This coaster is interesting for two reasons. 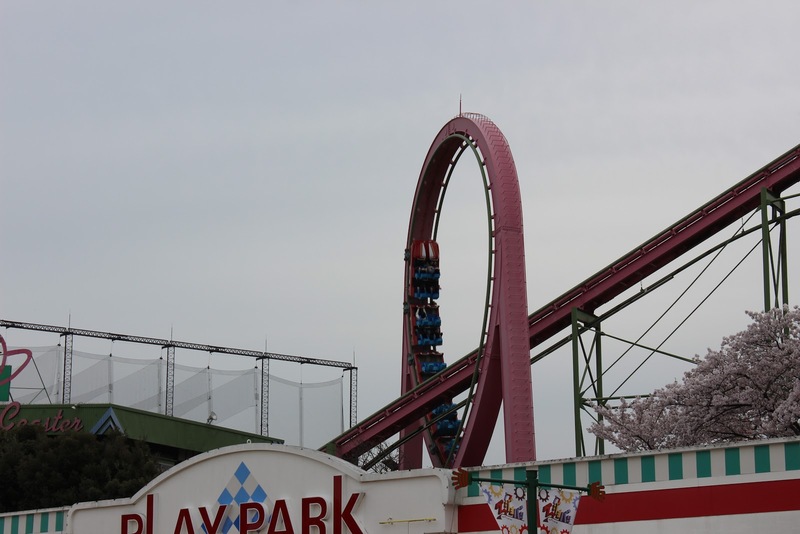 The first reason is you ride it completely standing up or choose to sit down. 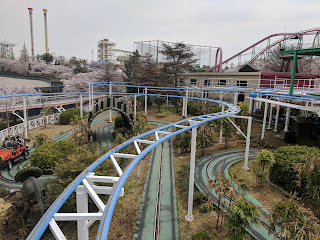 The other interesting thing is that the two different types of car sit on a section of track that isn't directly connected to the rest of the circuit. At the boarding location one side is the standing up line, the other sitting down, and the operator can slot in the next type of car to leave from off to the side of the track. Other rides included a drop tower, a 360 degree swinging ship, pedal rail ride, slow go kart track and the giant sky river tube ride. 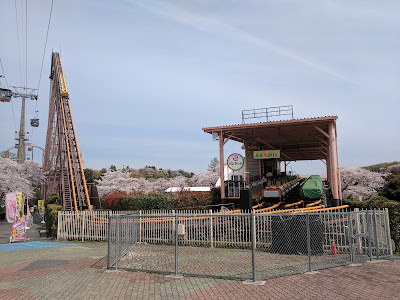 After I'd had enough of the rides I spent some time wandering around the rest of Yomiuri Land which included a park, a hill with a temple/shrine and some sporting fields. At around 15:30 I made my way back down to the train station via the gondola and returned to central Tokyo. For dinner I thought I'd check out Uobei Sushi in Shibuya. 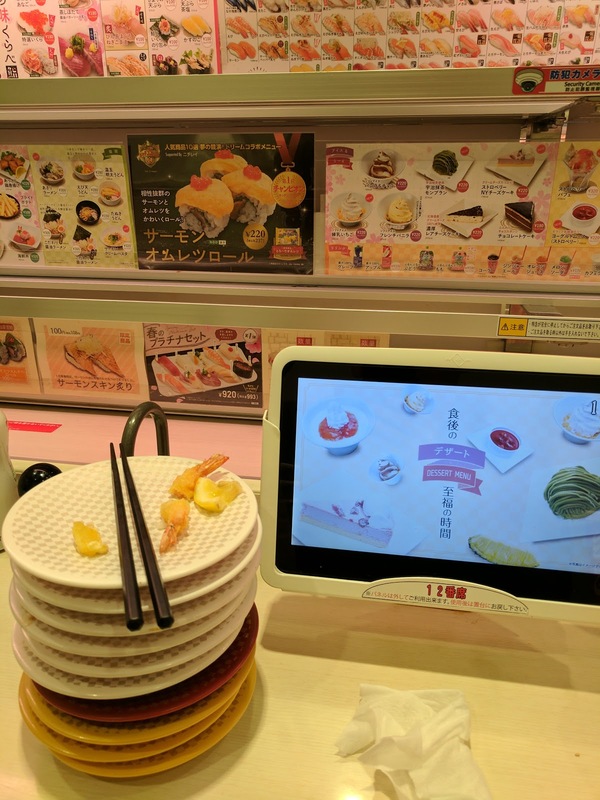 This is a robotic restaurant where you order all you food via a screen in front of you and it gets automatically delivered using a conveyor belt. When I arrived at about 7:30pm the place was really busy. The line moved relatively fast, however I still had to wait about 40 minutes until I got a table. Once I'd secured a seat I quickly started ordering lots of sushi! 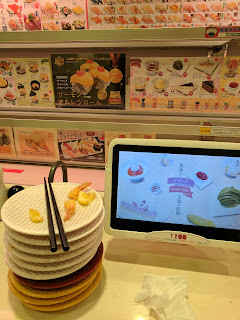 The sushi was extremely cheap at 108yen, and tasted alright considering. It was fun though ordering and having it arrive magically in front of you. It had gotten pretty late so I was really hungry and ordered heaps! I ate too much I think. After dinner I returned to my AirBnB and went to sleep. 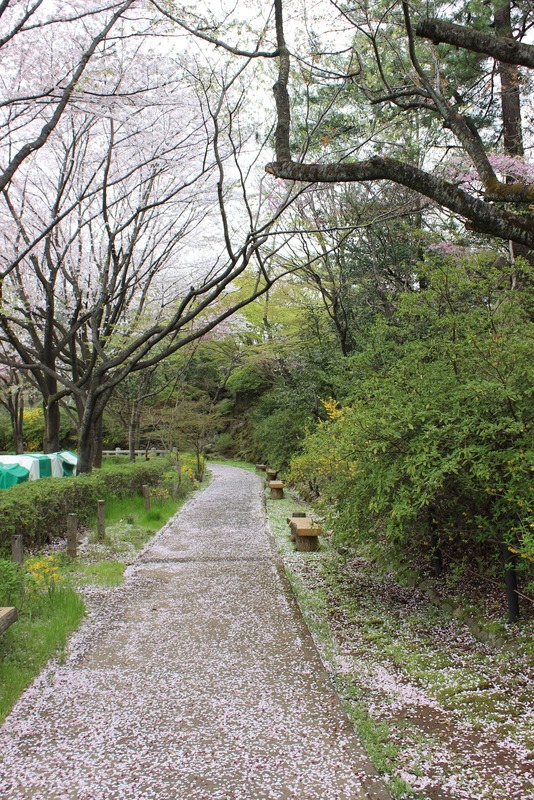 Tomorrow is forecast to be rainy so I'll be having a slow day at the Tokyo National Museum.